Following are 3 highly-spoken mobile wireframe tools free to use and the free download channels of these wireframing & prototyping software. 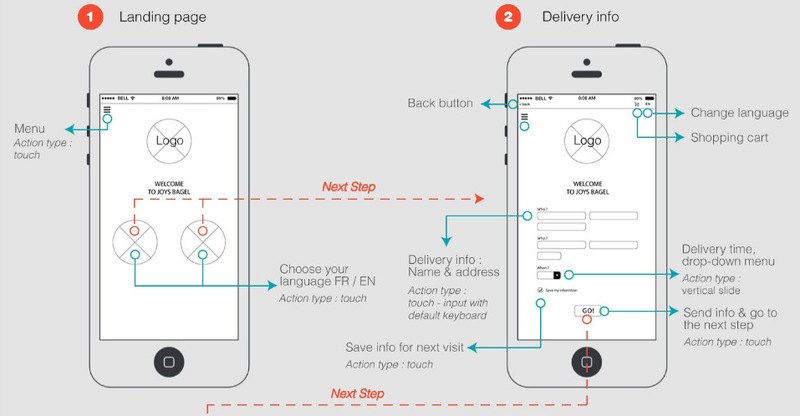 Mobile wireframe tools play an important role in the early stage of the product designing. designers can clearly describe the product features with just lines and icons, without losing any important detail. When the client asks you about the working process of a mobile app, plain verbal communication or documentation will cost him/her not a few of brain cells to imagine. But if you send them neatly a series of wireframes, a win-win situation will be achieved. Before there were professional mobile wireframe tools, designers & PMs used to make wireframes with pen and paper,or just prototype with PS. Then software for creating wireframes appeared and greatly improves the communication between all those involved. For newcomers to the field of UI UX design, it’s necessary to practice more wireframe tools to improve their interaction ability. Additionally, more and more companies list the wireframe tools skills on the candidate qualifications for PMs and UX designers. However, as the high cost of design tools, young inexperienced designers have to think twice in order to choose the best one. In fact, for both beginners and veterans, some mobile wireframe tools free to use are enough to meet their needs. Following are 3 highly-spoken prototype & wireframe tools and their free download channels. 1. How much time do I have to learn this tool? 2. What requirements do I have on fidelity? Generally, one needs a low fidelity prototype tool to build wireframes since speed comes first in wireframing. 3. On what ends do I need to make, demonstrate and share my wireframes? Desktop? iPhone? Android? 4. How’s my programming ability? Can I master the tool in a short time? Now, check these mobile wireframe toolsfree to use to find the one for you. 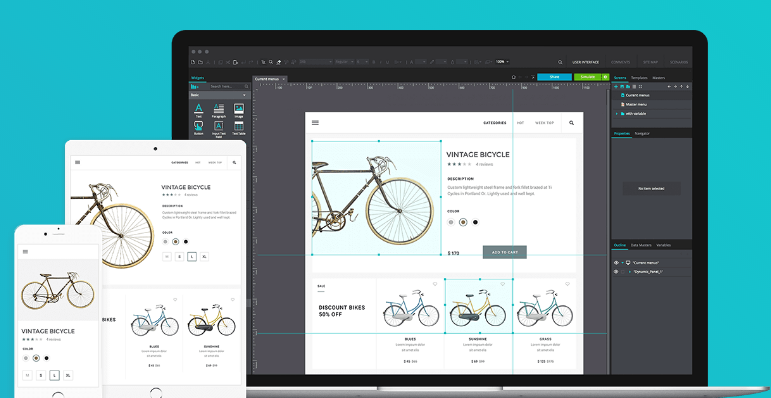 Build Prototype & wireframe of desktop applications, mobile apps and iPad apps, fast and easy. Fast modification, demonstration and sharing is a piece of cake. You’ll like the multiple ways of sharing your work with your team. You'll find some awesome Android wireframe templates and Mobile app wireframe examples on Mockplus demo page. With Justinmind, you can publish your prototypes, and gather useful feedback from all project stakeholders from early on in the creative process. 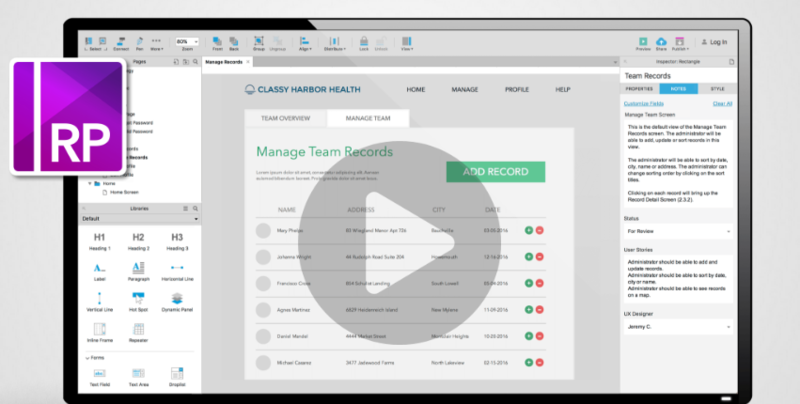 Bring Business Analysts, UXers, Developers and Product Managers on the same page right from the start. Mockplus: What Makes me a Good Wireframe Tool?